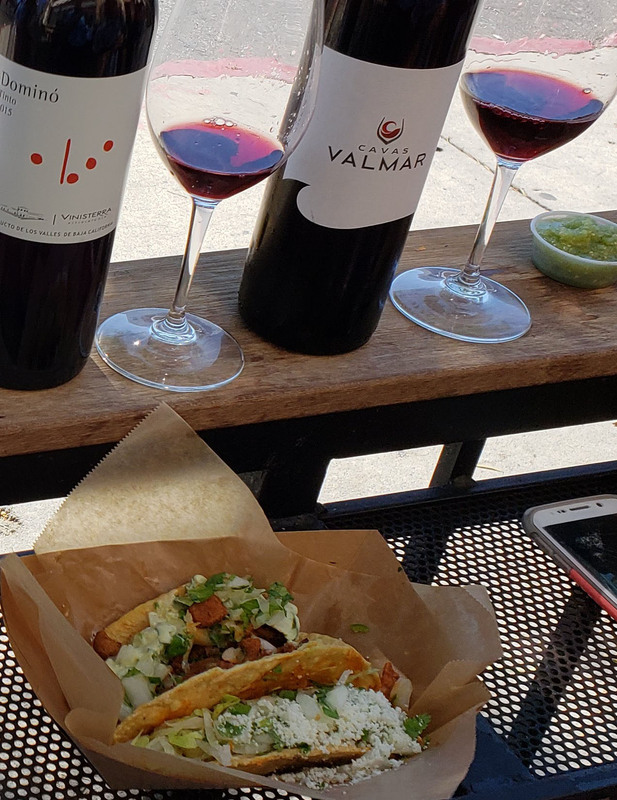 One afternoon, I left the house with a cooler full of wine and my trusty Coravin and made the rounds throughout all the hip neighborhoods in SD challenged with the task of pairing wine with fast food. Okay, I did not chose actual McDonald’s fast food, why encourage people to eat that with good wine. 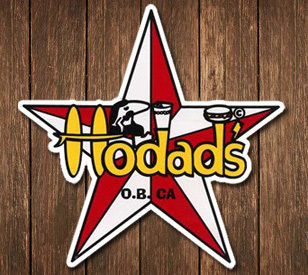 Instead I tried the local fast casual spots throughout San Diego. A big thank you to my friends at Skurnik Wines, La Mision Associates, Epic Wine & Spirits, Truly Fine Wines & Domaine Select for hooking up the delicious wines. If you’d like info on where to buy these wines, comment in the comment section below. 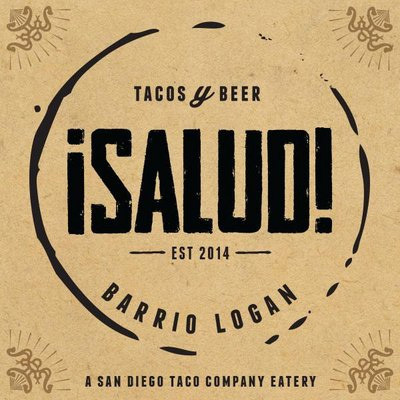 The quintessential taco is the taco al pastor, a Lebanese inspired taco made of slow roasted pig smothered with Guajillo chilies, garlic, Adobo and Chile de Arbol dripping with pig fat. Probably the best taco meat on the planet. Although I could have chosen carne asada, birria, lengua or any other meat, I had to give al pastor a shot. My initial instinct was to bring Riesling or rose wine, but I did not want to make this exercise easy on me. Instead I pulled out reds to see if they could stand to the challenge. I looked south of the border for inspiration. I grabbed a bunch of fruity Baja wines to see if I could find the ultimate Taco Wine. After trial and error I landed on a match, Valmar Red Blend made with Nebbiolo, Syrah, Merlot and Cab Sauv. It was fruit forward and juicy which contrasted the spices of the al pastor. These Baja wines also have a salinity which naturally match the salty al pastor. The key was keeping it below 14% abv and serving it at a chilled temperature, 56-58 degrees. The chill helps take down the heat of the spices. By the way, I also had a Gutzler Sylvaner from Germany in my bag, and although it did not perform well with the taco, it was amazing with the Guacamole! When I arrived at the food court in Little Italy where Ambrogio 15 is located, I was confronted by the managers, unfortunately I could not bring in my own wine. No sweat, I ordered from their wine list several glasses of wine I thought might do the trick. I had a Primativo di Mandura, a Fiano Salento, a Rose of Baga, and a Tuscan style red. Surprisingly, none of them really made a great pairing. The closest was the Baga Rose from Portugal, maybe because the acidity paired with the salty prosciutto and the bubbles helped scrub the rich oils of the cheese off the tongue. But it was not perfect. 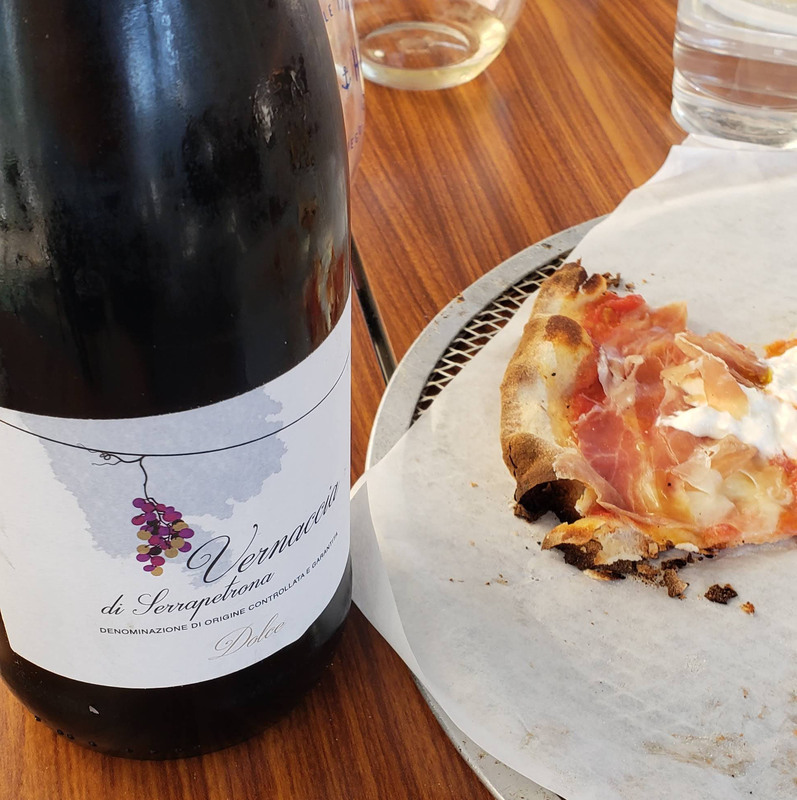 I saved a slice of pizza and took it to my car where I sat on the corner of Fir and Columbia, reached into my bag and grabbed a Vernaccia di Serrapetrona Spumante. Incredible! This is a sweet red sparkling wine from the Marche region of Italy. 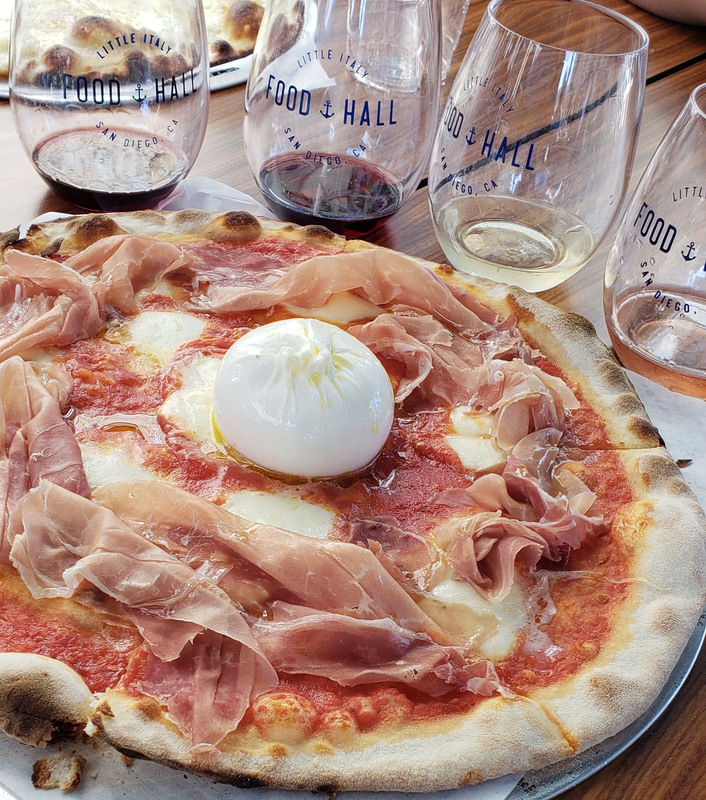 The sweetness contrasts with the salty prosciutto, and the acidity and bubbles match the Burrata’s richness perfectly. So I recommend ordering take out and popping a bottle of Vernaccia, the pizzas are fantastic! 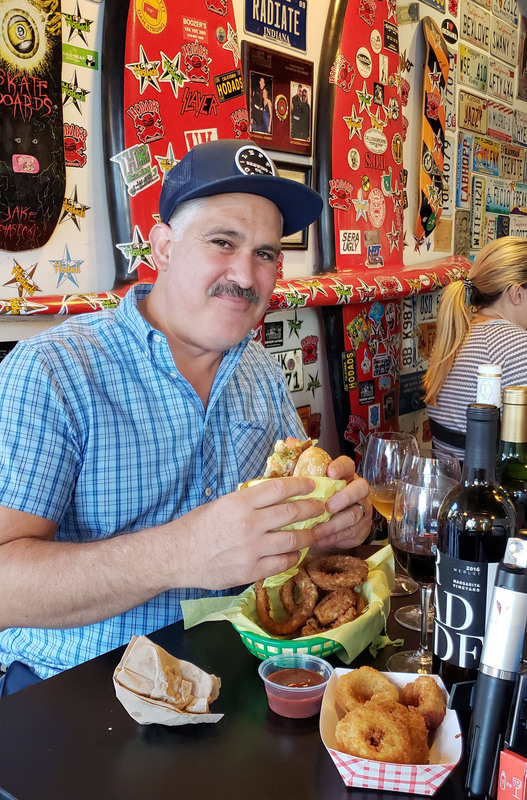 At Hodad’s I was tasked to pair their ultimate bacon burger and onion rings with wine. When gathering wines for this venture, my mind went to Miles of the movie “Sideways” drinking Cheval Blanc with a burger. So I brought a Merlot and Argentine Malbec with me. Although both were not bad, the best pairing I came across was with a white wine. I pulled out a 2007 Nicolas Joly Savenierres from the Loire, it is a Chenin Blanc, aged in oak, made as naturally as one can get. Drinking it in 2008 would have been a punch to the mouth. The wine is now in the perfect place. It is a full bodied white, with slight honey notes, high alcohol and high acidity; how does this even happen? 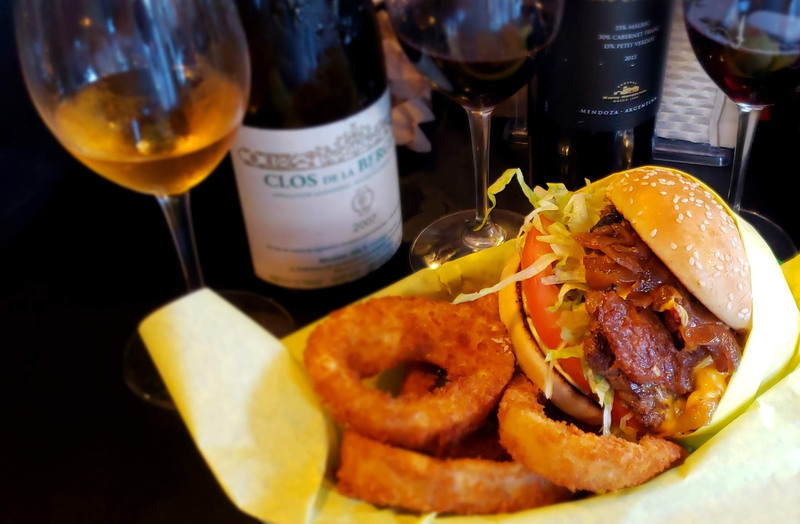 The sweet honey flavors were glorious with the onion rings, the weight and acidity of the wine matched the massive burger, what a total unexpected trip! The wine held up, never overpowered by the food and the food never overpowered by the wine. Who says white wines are for wussies? 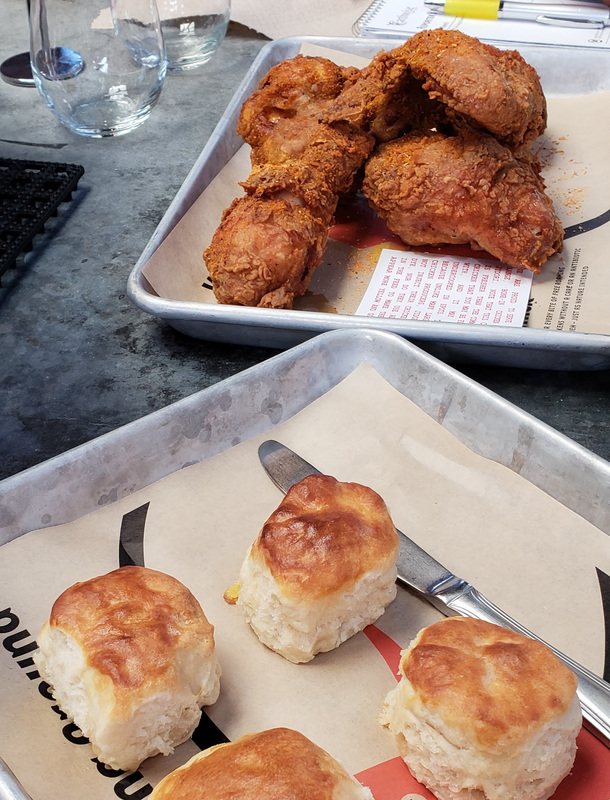 The chicken at Crack Shack is downright delicious. It is crunchy, salty and fatty. They make an array of sauces so each will drastically compromise the pairing. Naturally, I went to my bag full of high acid whites. I had an Atalier Albarino, an off dry Scheurebe from the Pflaz, white Burgundy from the Macon and Sparkling Chenin Blanc. The Albarino was good with the Ranch dressing. The Schreube had some RS which is kind of out of balance justthe chicken, but worked great with spicy sauce. The White Burgundy clashed, the alcohol was a bit too high and intensified the spiciness. 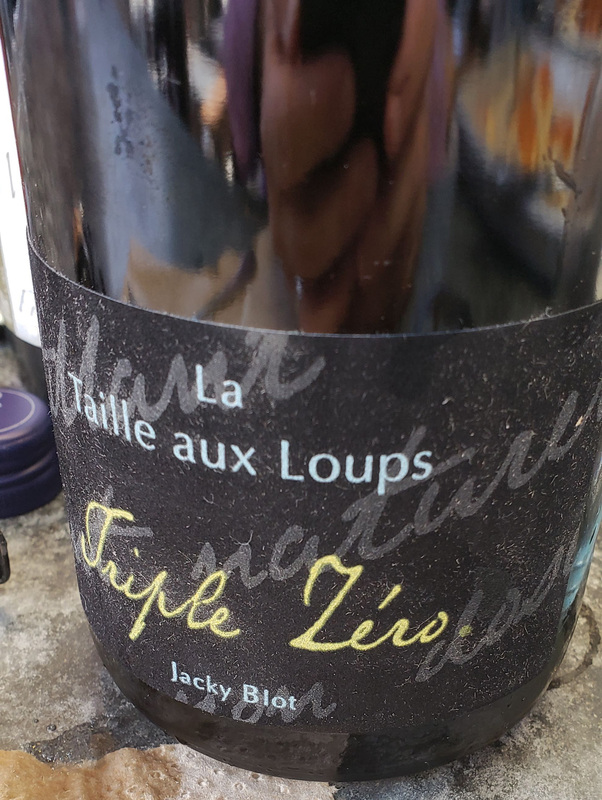 The best pairing was La Tailleaix Loups Triple Sec Sparkling wine. This wine is produced dry with zero liqueur de triage, zero dosage and zero liqueur de expedition. It has aromas of yeast, sourdough and bee pollen. The acidity was lively cutting through the grease of the fried chicken. Although the wine was dry, it had this honey flavor which balanced with the peppery flavors of the chicken skin. The bubbles acted likes scrubs on the tongue, making the next bite a whole new experience again and again. This goes to prove that one cannot go wrong with high acid bubbles and fried chicken. 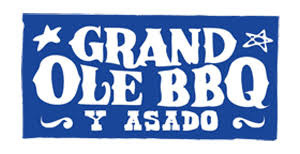 I showed up at Grand Ole BBQ ready to get my pulled pork on, unfortunately or should I say fortunately, they were doing Churassco Sunday with Argentinian cuts. 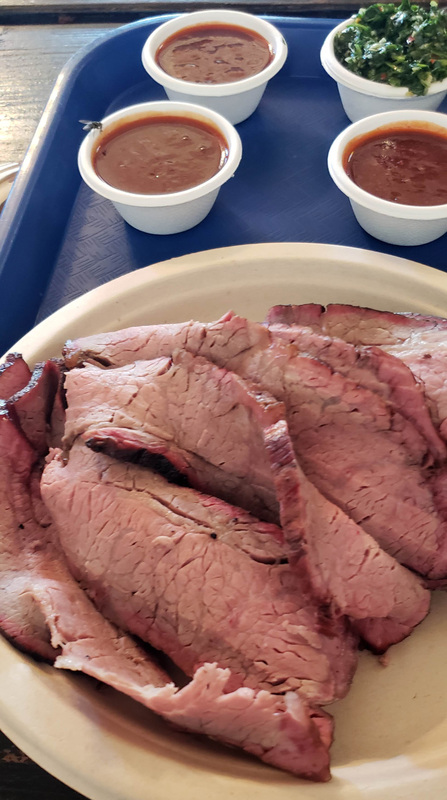 I chose to get the Tri Tip and try different BBQ sauces ranging from sweet to spicy. In my bag I had 6 wines I thought might work. Aussie Shiraz, South African Red blends, Portuguese reds and I threw in a wine from Lebanon for the heck of it. My bet was on the Portuguese reds. All six wines would have done just fine if I was eating the Tri Tip, but the BBQ sauce is the ringer. The Casa Ferreirinha Douro “Papa Figos” Red was fantastic with pruned fruits, dry and tannic mouthfeel. It matched the sweet BBQ sauce but clashed with the spicy sauce. 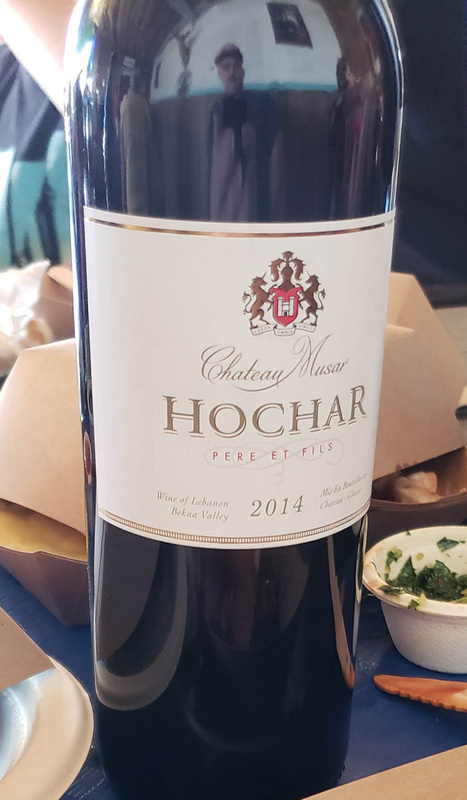 The other wines all clashed with the sauces, until I got to the dark horse, Hochar Red Blend by Chateau Musar of Lebanon. This wine was super earthy, funky, and totally dry. My intention was to match BBQ with fruit forward styles similar to Zinfandel. What I noticed was that once the wine got over 13.5% abv, it would clash with the spicy sauce. The Hochar at 13% was incredible. It was tart on the palate which contrasted very pleasantly with the spices. The cedar, leather and other tertiary aromas melded perfectly with the spices in both sauces. Neither the wine nor the food were ever overpowered by one or the other. They key again, was alcohol, keep it down and if the wine has good tannin and acid structure then it will prevail.